It is FREE. You pay nothing – Nada. A cruise planner works on your behalf, but the cruise lines pay them commission to handle the booking process on its behalf. What could be sweeter? You get the benefit of services without having the cost of your cruise increased or the amenities you receive decreased. The cruise lines expect the cruise planner to serve as the point of contact between them and you. This is great for the cruise lines. By dealing with professionals rather than millions upon millions of individual customers (amateurs), the cruise lines increase their own productivity. Because of the cruise agent’s desire to have your business, s/he is willing to do more, a lot more, than just the booking process. This is free enterprise and competition working for you. No one would suggest that the "booking process" is simple and without potential difficulty. It involves many steps and things can go wrong. However, for a professional, the booking process is essentially a bookkeeping and fact checking activity. If you are to have a successful cruise, what the agent does before you cruise is very, very important. At the beginning, your cruise planner should do a profile of you. In other words, a good agent should gather lot of facts and information about you. Also, after you return home, your agent should gather facts about the experiences you had. It is the actions of the travel agent in providing assistance to you based on the facts and information gathered that are the real reasons for you to use their services. A travel professional has many, many resources and contacts. A good agent can (and should) assist you in doing the things you may have to do in order to travel. Click here to view a useful example of something a travel planner could do to lessen your load. It may seem like a small thing, but many small things can add up to a major headache for you. Avoid the hassles. Allow someone else to lessen your burden. Check out these two resources: ASTA (American Society of Travel Agents) and NACTA (National Association of Career Travel Agents). You should not, however, expect an agent to provide you with services worth thousands of dollars if they only receive a hundred dollars in commissions. (This is overstating the facts to make a point). Remember, the money you pay the agent goes to the cruise line. The cruise line allows the agent to keep a small portion as his or her commission. …your real value to a travel agent is that of a repeat customer. When you find the right planner, you will want to go back repeatedly. If you need additional help in finding the right agent, go to: Part One of How to Identify. A good cruise planner in turn will provide the necessary extra, extra services to keep you as a customer. That is their real value to you. All said, it is a win-win situation. Take a Disney World Vacation for a fraction of what others pay. This is written by a former Disney cast member and a best selling travel writer. "Ultimate Disney World Savings Guide e-Book Please note that this is an e-Book that is updated regularly. All customers receive lifetime access to e-Book updates, even if it's months or years after your initial purchase. You will always have the very latest Disney savings strategies at your fingertips." At the very beginning, free service was stated as one great reason to use a cruise planner. What do you think is another reason, besides the free and extra services they provide? KNOWLEDGE of the product line is the second great reason to use an agent. 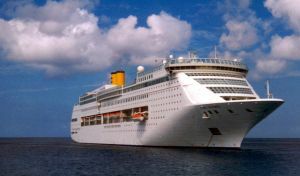 The product line of course refers to the many cruise lines and ships that want your business. Also, knowledge of the product line refers to the in-depth knowledge of the cruise industry necessary to assist you in making the best decision. No one knows everything. The product mix is always changing. However, a professional planner knows where and how to quickly acquire the necessary information. The third great reason to use a professional cruise planner is EXPERIENCE. It is through their own experience that they can truly prepare you to enjoy your experience. special tour activities, and much more. The three elements of Knowledge, Experience and Free are an unbeatable combination to provide you with a powerful cruise experience. You are in safe hands with a professional cruise planner. Don’t hesitate to use one. Set your Sails, and have a fantastic time!